With advances in LED and Solar Panel technology, electric lighting is now our preferred option. Some lamps have internal rechargeable batteries, but most now use external battery packs which can be recharged from solar panels or mains electricity. 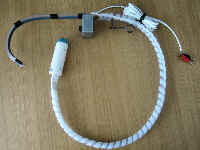 FL1 Lamp, Ring, Battery Lamp, Electric, Rechargeable. 2-5 Hours Light, can be recharged from mains or 12V. With Remote Control. FL2 Lamp, Ring, Battery Lamp, Electric, Rechargeable. 2-5 Hours Light, can be recharged from mains or 12V. With Remote Control. FG1 Lamp, Coleman, Electric, Rechargeable. 2-4 Hours Light. 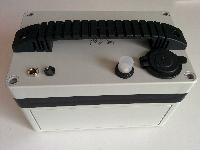 FP1 Water Pump, 12V Use with FQ batteries. FT2 Magnetic LED Lamp, 12V 4.2W, with switch and lead. FT3 Magnetic LED Lamp, 12V 4.2W, with switch and lead. FT4 Magnetic LED Lamp, 12V 4.2W, with switch and lead. FT5 LED Lamp, 12V 4.2W, with switch and lead. 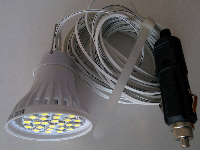 FT6 LED Lamp, 12V 4.2W, with switch and lead. FT7 LED Lamp, 12V 4.2W, with switch and lead. FT8 LED Lamp, 12V 4.2W, with switch and lead. FN1 Lamp, Fluorescent, 12V, with switch and lead. FN2 Lamp, Fluorescent, 12V, with switch and lead. FN3 Lamp, Fluorescent, 12V, with switch and lead. FN4 Lamp, Fluorescent, 12V, with switch and lead. FN5 Lamp, Fluorescent, 12V, with switch and lead. The use of the FN types is now deprecated; use the FT ones instead. These lamps use 1.8Kg or 2.7Kg resealable Camping Gaz cylinders. FH1 Lamp, Camping Gaz. Use with resealable Camping Gaz cylinders. FH2 Lamp, Camping Gaz. Use with resealable Camping Gaz cylinders. FM1 Lamp, Camping Gaz Belvedere Use with resealable Camping Gaz cylinders. FM2 Lamp, Camping Gaz Belvedere Use with resealable Camping Gaz cylinders. FM3 Lamp, Camping Gaz Belvedere Use with resealable Camping Gaz cylinders. FM4 Lamp, Camping Gaz Belvedere Use with resealable Camping Gaz cylinders. FM5 Lamp, Camping Gaz Belvedere Use with resealable Camping Gaz cylinders. Tilley lamps FD/FE/FJ give more light than a gas lamp, and will run for 8 hours on a pint of paraffin, making them cheap to run. However, they are not as easy to light as the gas lamps. There are two types of Tilley’s, the ‘normal’ portable type, and a floor standing Floodlight type FE with reflector, which are excellent for night volleyball games. Safer still are the battery lamps FL. 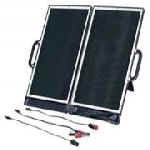 These can be recharged from mains power or a 12V source such as a car battery. FZ5 Tilley Lighters, with jar. Use with meths.